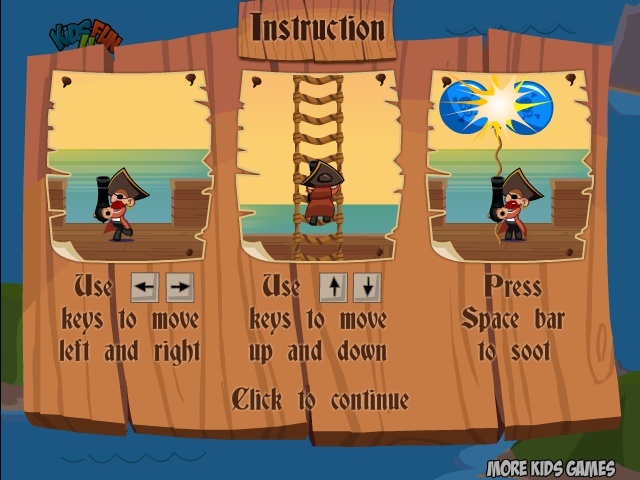 Pang Pirate is a classic arcade game. Something Suddenly out of nowhere a ball storm hit the Pirate Fleet. So drop your rum and grab the hooks we have a deck to clear. The gameplay is like the standard arcade Pang game with all the power ups and different game weapons. Use arrow keys to move, space to shoot. Have fun!